A federal court ruled July 25, 2017 that an elected official’s Facebook page is a forum for speech under the First Amendment to the U.S. Constitution and that blocking participants based on their viewpoints violates their right to free speech. The three citizens filed their complaint under Senate Rule 43 (pdf), which allows “any person” to “file a complaint with the [Colorado State Senate] President alleging misconduct involving legislative duties by a member of the Senate.” Others who have been blocked can file similar complaints by following the instructions in Rule 43 and submitting them to the Senate President, Kevin Grantham. 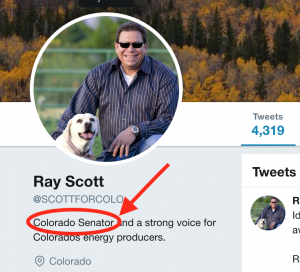 Scott told the Grand Junction Daily Sentinel that he’s “only hidden some ‘inappropriate’ comments from public view,” and he maintains “there’s nothing official” about his social media accounts. 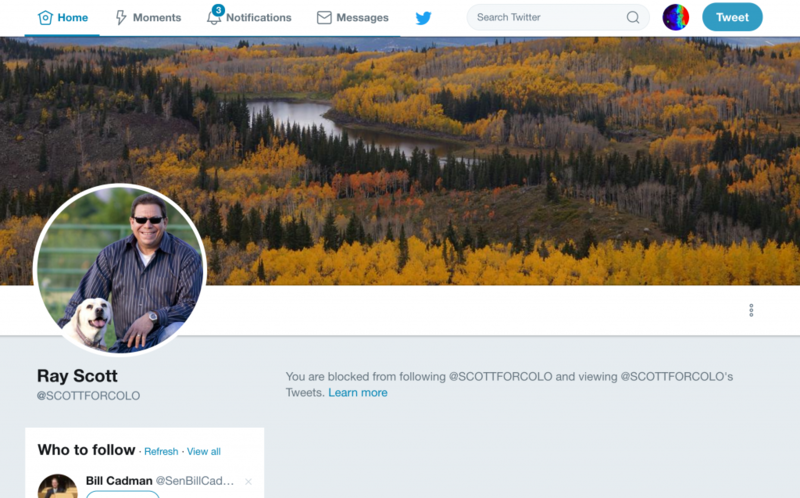 But Scott operates his Facebook as a “Government Official.” Scott also operates his Twitter page as a Government Official and he blocks people completely from his Twitter account if they post tweets he disagrees with. Just like Scott, the defendant elected official in the Davidson case also claimed her Facebook page was a personal page and not an official one. But the Court found that she operated her page “under color of state law,” that she operated it as a forum for speech, and in blocking people she engaged in viewpoint discrimination, thus violating the First Amendment to the United States Constitution. Of course, Ray Scott could easily eliminate this controversy by unblocking all the people he has blocked on both his Facebook and Twitter accounts so they are free to comment, and by changing his Facebook setting to “Public” so everyone — even people without Facebook accounts — will be able to access it.